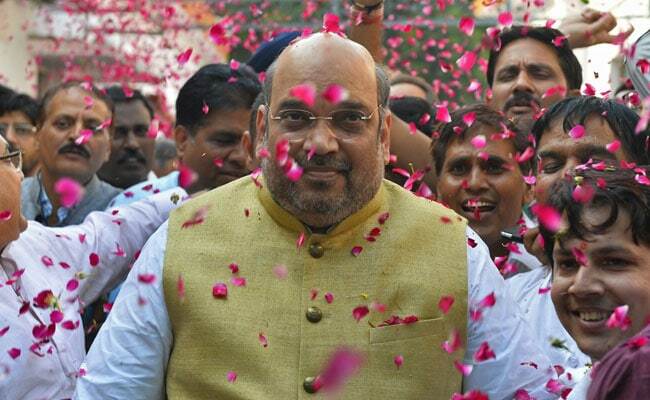 BJP chief Amit Shah's plans have drawn an unexpected response from the Trinamool Congress. Borrowing a page from the party patriarch LK Advani’s book, BJP chief Amit Shah will start a 15-day pravas (tour) for an expansion drive today. It will involve a journey through five states where the party has been traditionally weak — Bengal, Kerala, Tamil Nadu, Odisha and Telangana. The yatra will begin from Naxalbari — a West Bengal village from where the left-wing extremism started in the late 1960s. Mr Shah is planning to spend three days in each state. While the long-term goal is the 2019 general elections, the BJP plans to use the yatra to implement its fresh strategies for next year’s local body elections. The move is considered politically significant, especially after the BJP cornered a chunk of the Left vote in the recently concluded by-election in Kanthi South, coming second to the state’s ruling Trinamool Congress. “The BJP will try to move to the second position in gram panchayats and at least few zilla parishads. This will signal to the Bengal voter that the BJP is emerging as an alternative,” said a leader. Sources say Mr Shah will reach Siliguri tomorrow, from where he will drive down to Naxalbari to take part in a “booth chalo” or visit poll booth campaign. The idea is to beef up the party’s virtually non-existent presence at the booth or the grassroots level by roping in effective CPM workers – a strategy that has paid off in states like Assam and Uttar Pradesh. Announcing the party chief’s travel plans, Textile Minister Smriti Irani took a dig at Congress vice president Rahul Gandhi. “The president of a party which has won one election after another is not resting on his laurels… This is the biggest difference between the BJP and the Congress," she said. The choice of Naxalbari is meant to send a message of solidarity with BJP workers, who have "suffered violence” there. Top party leaders, including almost every Union minister, have been asked to drive the booth-level campaign. “Once in the BJP fold, these leaders can utilise their machinery to organise the party at the booth level,” said a party leader. Mr Shah’s plans have drawn an unexpected response from the Trinamool Congress. In her speech at a party meeting on April 21, Chief Minister Mamata Banerjee asked grass-root level workers to establish contact with common people and organise movements to stop the drift of CPM cadres to the BJP. A senior BJP leader said Mr Shah will also take Prime Minister Narendra Modi's message of "development for all" to a place where a violent movement to uproot the Indian state had started.